so please have some patience If you do not want to wait, we please you not to bid, thank you. 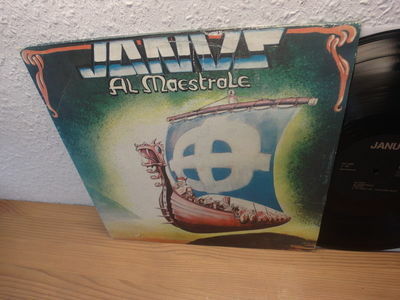 Bloody Rare Original 1978 Private Pressing of tremendous Heavy Progressive Rock Gem from Rome Ranging from brutal Fuzz Guitar Hardrock to Folkier Progressive tracks with strong use of Flute. A True highlight from the Italian Progressive scene. 1000 copies were initially pressed .Rare Forever! Very Rare opportunity to grab this rarity ,offered here with No Reserve!